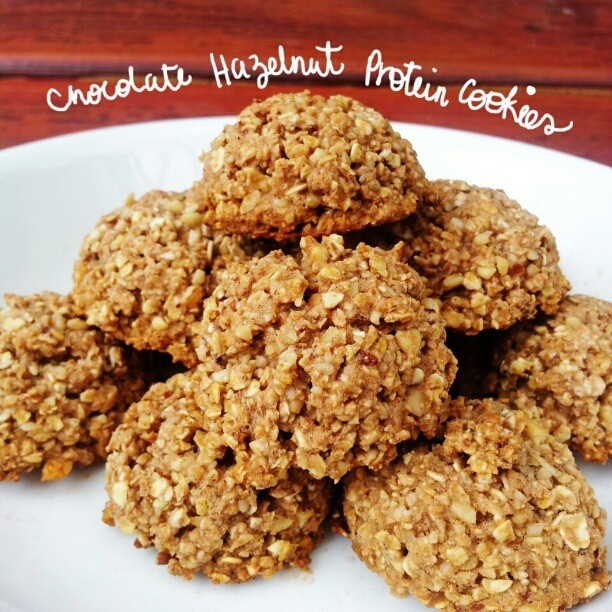 4 Ingredient Chocolate Hazelnut Protein Cookiesâ€¦ because chocolate and hazelnut is an awesome combination! Mix all ingredients in a food processor until it has a sticky consistency. Scoop batter using a 1 tbsp spoon, this should yield 17 cookies. 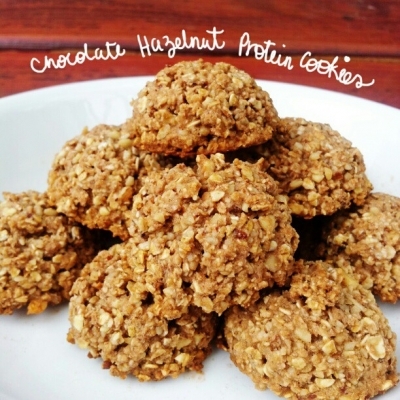 This is good as a no bake treat (just refrigerate!) or you can bake for 10 minutes at 350 degrees.